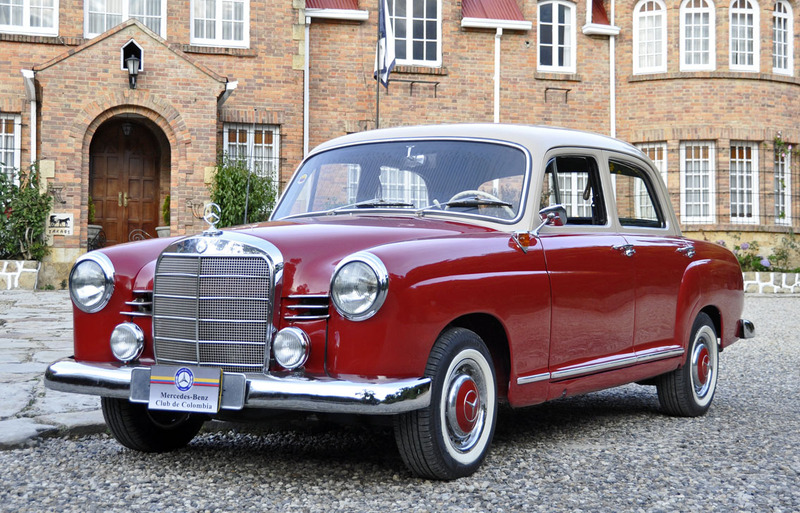 I bought this Mercedes-Benz W120 180c Ponton sedan in May 2011, and just completed some basic changes. 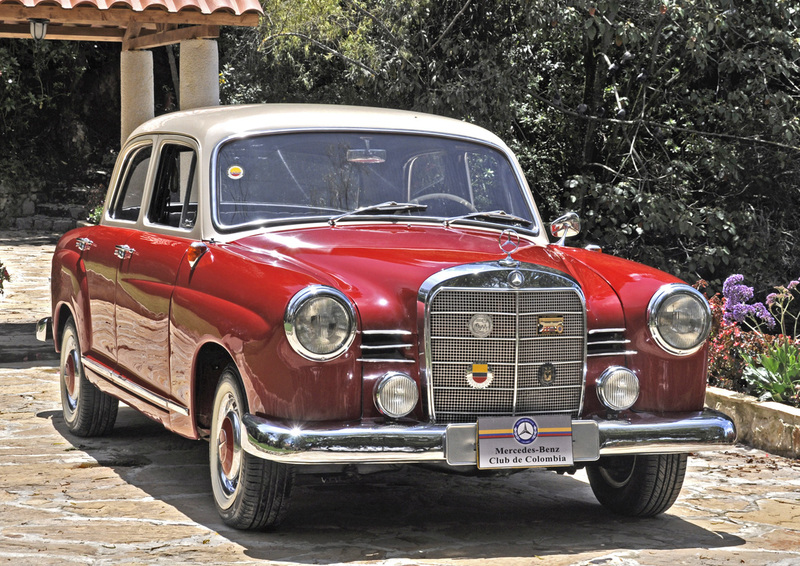 It was imported to Columbia in 1962, and has had only four owners. The first owner had it for nearly 30 years, then sold it to the owner of a major Mercedes-Benz specialist, who repaired the engine and general mechanics, and kept it several years before selling it to a Mercedes enthusiast who died earlier this year (2011). I decided to buy it after verifying its history. I only made some minor repairs, but changed the paint according to the original color designation appearing on this website, choosing the red (519) and cream (439). 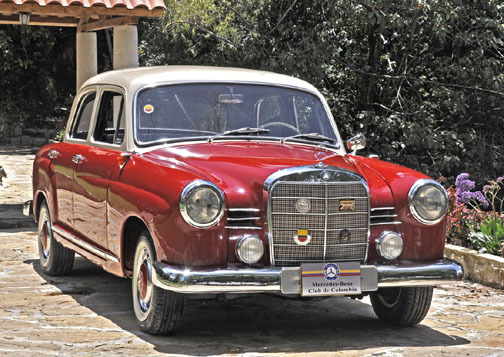 It has old plates provided by the Mercedes-Benz Club of Colombia and the national transit authorities. 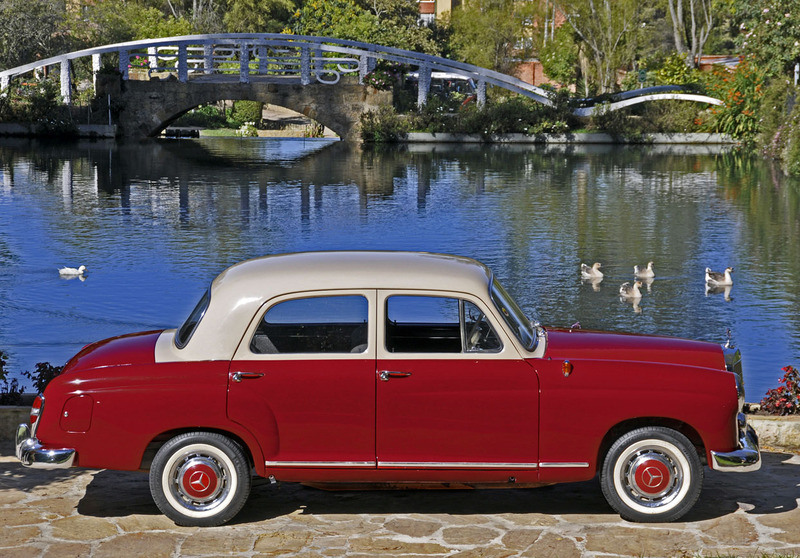 Everything works, and it is a pleasure to drive and keep.